At SugarMoo, we like to do things differently, we also like to work closely with our customers to create some old time favorites and new trending desserts to make your event a memorable one! Depending on the occasion, whether corporate, wedding, birthday party or if you’re anything like us and don’t need an excuse to have a party then we can create a customizable menu to cater to your next event! Not to brag, but we have some awesome Cake Masters in our bakery who love to create new desserts and design cakes! Ideas that will make your celebration or corporate event; one to remember: Imagine a Milk and Cookies bar, a Pimp your own Cupookie station (yes, you read right), fun Milk Shake stations or choose from our wide range of desserts from our famous Nutella brownies, Red Velvet Oreo crunch cake, our lotuslicious truffles and our fun cake pops are only a few items off our menu! We specialize in customized cakes and can cater to any request and we mean ANY! Give us a shout out and fill out the below form so that someone from our catering events team can get in touch with you for a free consultation! Or give us a call at 800-SUGAR if you can’t wait to get started! *What desserts are you interested in? 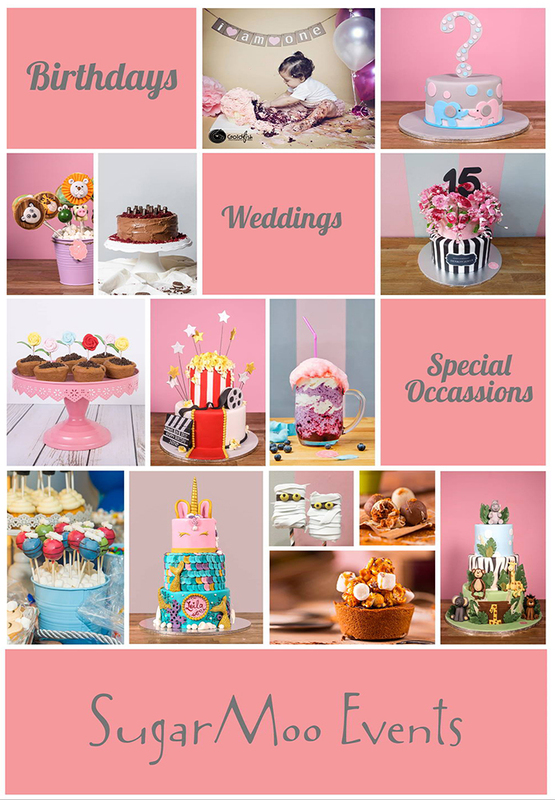 We cater for weddings, bachelor/bachelorette parties, kids birthdays, Birthday Smash Cakes, parties, corporate events, baby shower, Eid celebration, Christmas party, School parties, engagement parties and more! Please note that we make sure to deliver the best quality of craftsmanship with all our customized cakes! In order to make some detailed figurines turn into a reality, we do sometimes use the help of special baking tools to keep the sugar paste figurines together! We ask you to please keep that in mind when consuming the decoration placed on your dream cake.